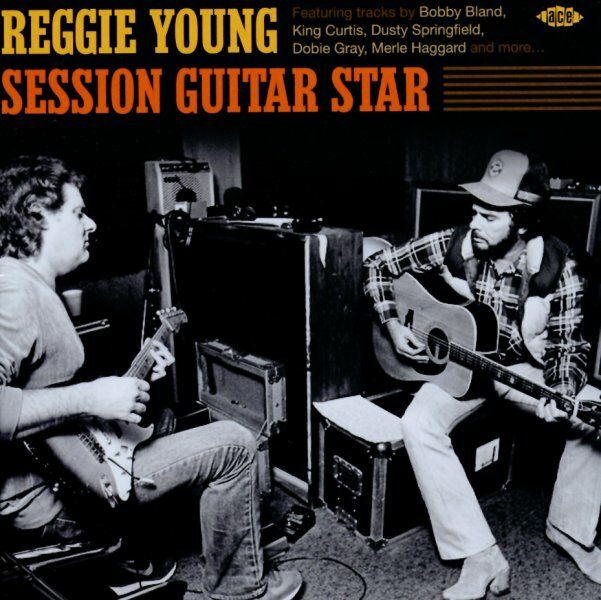 A huge overview of greatness from guitarist Reggie Young – a musician who's remembered not only for a few key records of his own, but also for countless dates in the Tennessee studios of the 60s and 70s, where he helped transform the records of others with his talents! The package here features Reggie on every single track – adding guitar parts to a surprising variety of musical styles, including some classic southern soul that comes as a great surprise – because most folks usually think of Young in terms of his work for country music giants! The package is a great follow-up to the reissues that Ace Records has done of Reggie's own records – and features very detailed notes, with information on all the many and unusual tracks that feature Young's talents within. Titles include "Rock N Roll" by Sonny Curtis, "Touch Of The Blues" by Bobby Blue Bland, "Meet Me In Church" by Solomon Burke, "Don't Forget About Me" by Dusty Springfield, "Slip Slip Slippin In" by Eddie Bond & His Stompers, "Dream Baby" by Jerry & Reggie, "I'm Movin On" by The Box Tops, "The Champion (part 1)" by Willie Mitchell, "In The Pocket" by King Curtis & The King Pins, "Drift Away" by Dobie Gray, "I Think I'll Just Stay Here & Drink" by Merle Haggard, "Victim Of Life's Circumstances" by Delbert McClinton, "Lover Please" by Billy Swan, "Morning Glory" by James & Bobby Purify, "Where Do We Go From Here" by Waylon Jennings, "Whenever You Come Around" by Little Milton, and "More Love" by James Carr. © 1996-2019, Dusty Groove, Inc.